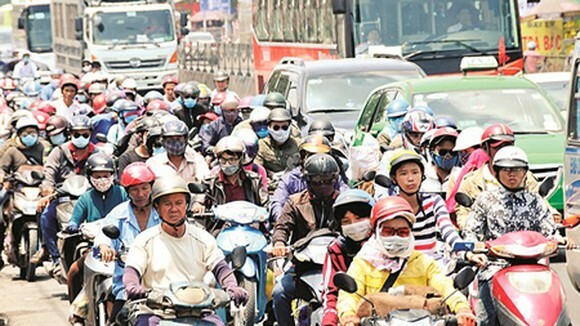 Millions of people poured into Ho Chi Minh City (HCMC) in the afternoon of May 1 to resume their work after their 4-day holiday, creating heavy traffic in all gateways to the city. Thanks to the effective job of appropriate authorities, no congestion was reported. At the western gateway to HCMC, in National Way No.1A (the part passing Binh Chanh District), thousands of vehicles, mostly motorcycles, headed to the city. At around 17:30pm – 19:00pm, they created a very sluggish flow when moving past Binh Dien Bridge and Kinh Duong Vuong Street to the West Coach Station. However, there was no traffic jam occurred. The West Coach Station was also very busy welcoming passengers from the western provinces of Can Tho, Ca Mau, Tra Vinh, Bac Lieu, Dong Thap, Kien Giang, and An Giang. 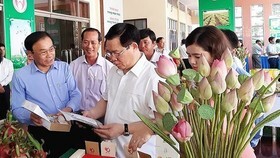 According to Mr. Nguyen Ngoc Thua, Director of this coach station, during that day, there were more than 1,600 coaches using the station to serve around 50,000 – 52,000 passengers. Although the crowd was quite large, most of them left the station right away via buses or were picked up by relatives. At the eastern gateway, in the East Coach Station, the number of coaches was not as high as that in the West one. Most passengers did not linger there for long, but were picked up by relatives or motorbike taxis. Therefore, the traffic around this station was quite light. According to the management board of the station, 52,500 passengers on 1,700 coaches came to HCMC through this station during the day. 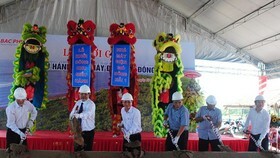 They were from nearby provinces of Vung Tau, Da Lat, Phan Thiet, and Nha Trang. On the same day, Sai Gon Train Station also welcomed 16 trains to HCMC with about 10,000 passengers from the central provinces. From the afternoon of May 1, the motorbike flow from nearby eastern provinces of Dong Nai, Ba Ria-Vung Tau poured to Cat Lai Ferry Station on the Nhon Trach side to use the ferries to HCMC. 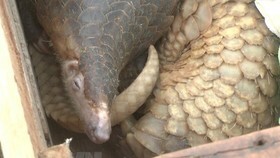 Due to the intense heat, many people felt exhausted waiting for their turn. When the weather was more comfortable, the vehicle flow became heavier, and the Ferry Station was overloaded. The management board had to mobilize all staff and facilities, including high-capacity ferries, to relieve the congestion. 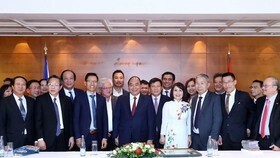 Deputy Director of Cat Lai Ferry Nguyen Thanh Tuan shared that during the day, they have increased the number of trip by 85 to serve passengers. The station was supposed to serve approximately 90,000 people. At around 17:00pm, Tan Son Nhat Airport was reported to be quite stable and secured although there were more and more passengers landing thanks to the effective patrols and control of the security team. At around 15:30pm, however, on National Way No.1 (the part from Dinh Quan T-junction to Bien Hoa City of Dong Nai Province), the number of vehicles began to increase and serious traffic congestion occurred. At major junctions like Dinh Quan T-junction, Dau Giay Intersection, Tri An T-junction, private as well as public transport were bumper to bumper despite the control of traffic police officers. On National Way No.51 (the part from Vung Tau City to HCMC passing Dong Nai Province), there were many local traffic jams, greatly affecting the speed of vehicles. At the junction between National Way No.51 and the road leading to HCMC-Long Thanh-Dau Giay Highway, vehicle speed was also very slow due to the increasing amount of transport. On May 1, many coach stations and gateways to Hanoi were overloaded due to the great number of people going back to the city. In the coach stations of Nuoc Ngam, Giap Bat, My Dinh, coach after coach came to deliver passengers. In addition, taxis and motorbike taxis also parked nearby the stations, making them more crowded and chaotic. Buses were full of people, but bus drivers still tried to cram more and more. Besides, the case of coach fare increase was reported in many routes like Ninh Binh – Hanoi, Thanh Hoa – Hanoi, Nghe An – Hanoi, Tuyen Quang – Hanoi. Many coaches picked up passengers on the way with the fare increase of 50 to 70 percent, and most were overloaded. Congestions also happened in National Ways heading to Hanoi, including Phap Van-Cau Gie Highway. Main routes leading to the city like National Way No.32, Phap Van-Giai Phong Street, and National Way No.5 were severely stuck. The National Traffic Safety Committee said that on May 1, there were 37 traffic accidents nationwide, killing 27 people, injuring 33. In total, in this 4-day holiday from April 28 to May 1, there were 113 traffic accidents nationwide, killing 79 people and injuring 79 others, a decrease of 9.6 percent, 19.4 percent, and 12 percent respectively compared to this time last year. Noticeably, almost all accidents happened on road, with only one train accident, killing 1 person. There was no accident in river and sea traffic. According to Executive Vice Chairman of the National Traffic Safety Committee Khuat Viet Hung, the traffic safety and order during this long holiday was comparative, basically meeting the demand of passengers. However, coach activities were still complicated, with a large number of overloaded coaches on the first and last days of the holiday, especially on the routes of Hanoi – Thanh Hoa, Hanoi – Nghe An. There were still coaches illegally picking up passengers on the way, even on Highways, yet related authorities did not strictly deal with them. Traffic congestion still happened on the first and last days of the holiday on certain national ways and ring roads or gateways to large cities like Hanoi or HCMC. Local jams also occurred at toll plazas due to the low awareness of traffic users. Many vehicle controllers violated the regulations on blood alcohol concentration, speed, helmet wearing. A lot of them traveled on wrong lanes and did not check the traffic when changing direction. It is obvious that most accidents happened with motorbike users. 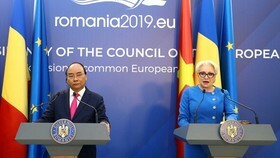 The HCMC Department of Health announced in the afternoon of May 1 that during this long holiday, health institutes in the city received 7,961 cases of emergencies, accidents, and normal examinations, 953 of which were traffic accidents, 775 domestic accidents, 207 emergencies due to fighting, 29 food poisoning, and the last 4,794 cases were due to other reasons. There were 26 deaths reported. Most cases happened on April 30. The 115 Hospital on April 29 received 269 emergencies, 33 of which were traffic accidents. On April 30, it received 297 cases, 34 of which were traffic accidents. Until noon of May 1, another 111 patients came for doctor examination and emergencies. The Emergency Center 115 of HCMC received no cases on 28 and 29 of April. On the next day, they performed first aid for 10 cases of traffic accidents. 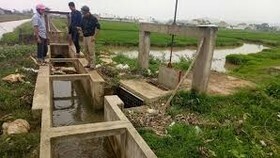 Serious cases were moved to the 115 Hospital or Trung Vuong Hospital. There was no fatal case reported. In Cho Ray Hospital, according to Dr. 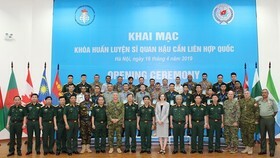 Le Phuoc Dai of the Emergency Department, there were totally 854 emergencies, 15 to 20 percent of which were traffic accidents, mostly serious trauma transferred from lower-level hospitals.